A trademark is a distinct symbol, logo, word, or multiple words that are legally registered or established through their use as representing a company or product brand. A trademark protects brand names and logos used on goods and services. 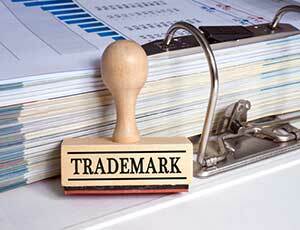 Trademarks are intellectual property rights that are protected by law. Trademarks are different from patents, which protect inventions, and copyrights, which protect an original work of authorship. The primary purpose of a trademark is to provide brand recognition to consumers. Trademarks assure the consumer that the company or products bearing the trademark are of a known and reliable quality. Simply stated, trademarks protect consumers from being misled. Accordingly, trademarks ensure free competition by protecting the goodwill of the entity that owns the mark. When you select a trademark that you will use to identify your business, you need to make sure your mark does not infringe on someone else’s mark. Trademark infringement is defined by the United States Patent and Trademark Office (USPTO) as the unauthorized use of a trademark or service mark on or in connection with goods and/or services in a manner that is likely to cause confusion, deception, or mistake about the source of the goods and/or services. Before you make a final decision on a trademark, you will want to search the USPTO trademark database to make sure it is not already claimed by someone else. Not only should your trademark not be identical to one already in use, you also need to be sure the mark you select is not “confusingly similar” to a mark already in use. Another limitation on your trademark is that your mark must be “registrable”. Not every mark can be registered as a trademark with the USPTO. For example, a person’s name cannot be trademarked without the consent of the person named, and government symbols cannot be trademarked. The stronger your trademark, the better legal protection it will have. The best trademarks are original, fanciful, suggestive, descriptive, arbitrary, or unexpected. Trademarks that are generic or merely describe a product or brand generally receive less legal protection. Descriptive trademarks may be registered, but they are considered weak. A strong mark has a less obvious connection to the brand or service. Once you select your trademark, submit an application to register it with the USPTO. Registering your trademark is not required by law, but it is one of the best ways to protect it from infringement by others. There is no deadline for filing an application to register your trademark. However, you can file an application to register a trademark three years (with six-month extensions possible) before you actually begin using it in commerce. Filing an application for registration early has the important advantage of obtaining a filing priority date before other potential applicants try to register the same or similar mark. This federal registration of your mark helps prove your ownership of the mark and your exclusive right to use it. Registration also entitles you as the owner of the mark to a strong presumption that the trademark is protectable. A common defense in trademark litigation is the “fair use” doctrine. Depending on the facts of the case, a defendant may argue that using your mark was the only practical way to refer to a product. If the court rules in your favor on your infringement claim, the court can award damages. In certain cases, the court can order the defendant to pay the amount the defendant profited from the use of the mark. The type and amount of damages available will depend on the nature of the trademark infringement, that is, whether the infringement constituted false origination of the mark or false advertising. The concept of a trademark – providing consumer recognition of a product, brand, or service—is simple to understand. However, protecting your intellectual property rights to a trademark can be difficult. Make it easier by registering your mark with the USPTO. 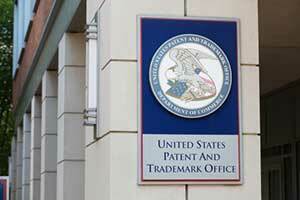 The application process with the USPTO can be time-consuming. Trademark infringement litigation is complex, time-consuming, expensive, and risky. If you have a trademark question or would like advice about a trademark application or other intellectual property matter, contact a Litigation and Dispute Resolution attorney experienced in intellectual property litigation for more information.